They started a Mastermind and you can too. The Entrepreneurial First Lady, Inc.
Make money as the coordinator of the Mastermind group. You have everything you need to start your Mastermind within 30-60 days inside this program. You'll grow professionally through consistent feedback on your work from informed and insightful members. Your Mastermind will help you feel less isolated. You'll have a safe place to build deeper relationships with like-minded people who share the same values and aspirations. How many times do you need an informed opinion, but don't know who to call? With a Mastermind you'll always have someone to call to bounce ideas off of. Get feedback on your ideas and projects. Your Mastermind members will tell you when your ideas stink and they'll also help you pursue ideas that are worth investing in. You won't have to worry about flaky members. Masterminds are where committed people share and ask for advice. You'll meet weekly virtually or in-person. Click to see inside the program! What's in the Mastermind Mastery Program? 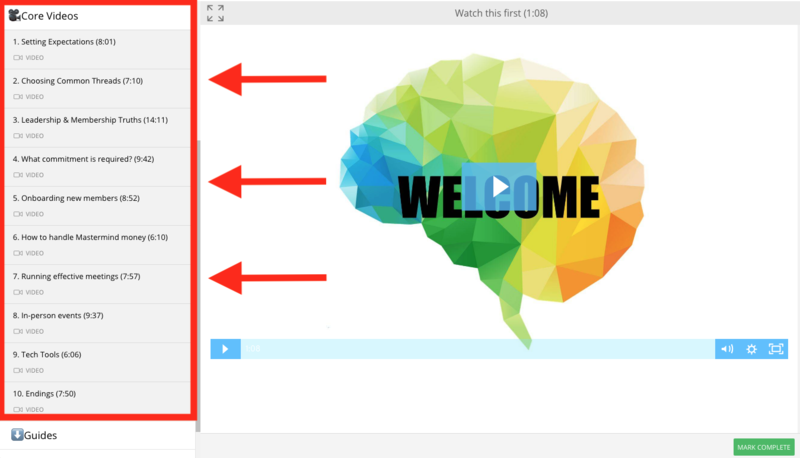 Everything you need to know about starting and running a healthy Mastermind in 10 concise videos totaling 72 minutes, so you can learn what you need and apply it quickly. 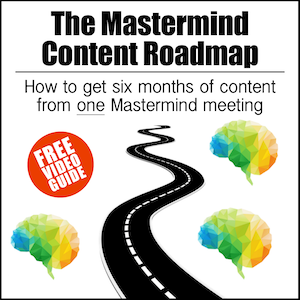 Starting and running your Mastermind is easy when you follow the included guides to find the right members and a guide to help you and your fellow members create a six-month content plan for your group. Collaborate and learn from other Mastermind leaders in our private Mastermind Mastery leader community. Ask the questions you need answered and get feedback immediately during our live video Q&A sessions. Available for Coaching and Concierge level members. Don't wait if you've got a question. Send an email and get it personally answered by the creator of the program. How do I make money running a Mastermind? Members may initially be drawn to join the Mastermind because you're in it, but the value of the group is about more than one person. The entirety of the membership is what people are paying for. Your task is to choose the right people to join and set a tone for the group. That’s valuable. The administrative work required and the responsibility of selecting members is what the cost is paying for. You are an equal member of the group when it comes to giving and receiving feedback, but you have more responsibilities than the other members and can get paid for them. Where do I find members to join my Mastermind? First, remember that most people are longing for community. Most people are looking for a safe place to share their ideas and to be pushed to grow in their mindset and productivity. Second, remember that you know some of those people and they can live anywhere in the world. Once you decide on the characteristics of your ideal members, you can go out and find them. Even if you start with three other people, that’s enough to start a great Mastermind. What is the ideal cost for being in a Mastermind? It’s healthy to answer that question by asking a different question. How much will this group impact the personal and professional lives of members? On a more practical level, I’ve seen successful Mastermind groups charge nothing and have seen others charge up to $1,000. 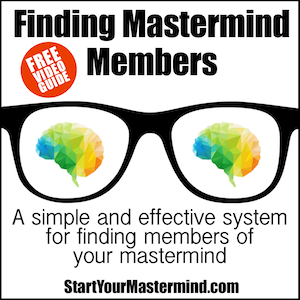 The number one reason to charge for a Mastermind membership isn’t to make income for the organizer; it’s to communicate commitment from members. We value what we pay for. Do I have to teach something to my Mastermind every week? No, you don’t. That’s not a Mastermind. That’s a coaching group. 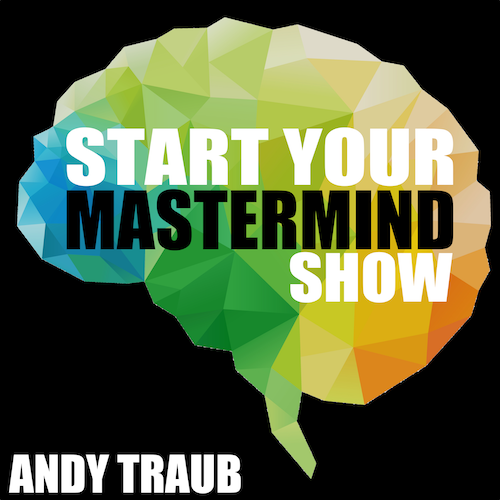 Mastermind Mastery isn’t a top-down group. You are equals, and so you will share the responsibility of teaching content to each other. I teach you how to create six months of material from one Mastermind meeting, including dividing up the teaching responsibilities. Should I have different levels in my Mastermind? No. Everyone should be on the same level. Levels in Masterminds are a terrible idea. Sure do! Scroll through this page and you'll find some. How do I get a refund if I'm not satisfied? Email me at Andy at Takepermission.com and tell me why the program didn't meet your standards and if I can't make it right, I'll give you a refund. You can view my refund policy in full at here. 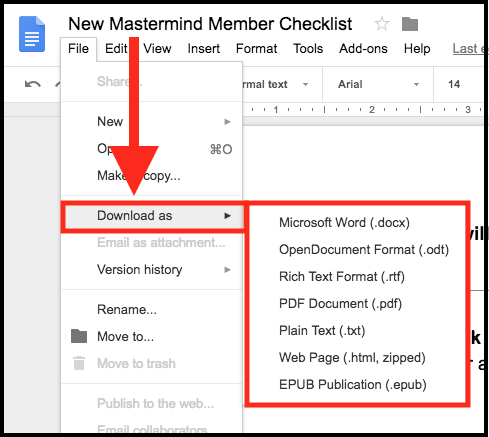 Build your Mastermind membership list, your content plan, and onboarding of new members step by step with the included downloadable guides and checklists. The core content of the program is the video library. You will learn the core principles of every Mastermind and then the steps you have to take to build yours so it's healthy for every member, including yourself.